Back Alderweireld to Stay at Tottenham (7/4 with William Hill). Back Maguire to Move to Manchester United (5/2 with Paddy Power). The World Cup in Russia is now over and attention will soon turn back to domestic football, with the start of the Premier League season less than a month away. With the transfer set to slam shut before the first ball is kicked in 2018/19, we have taken a look at some of the players who could be on the move in the next few weeks. Midway through last season, it seemed inevitable that Alderweireld would be departing north London this summer. The defender’s contract contains a one-year extension clause which comes into effect in summer 2019, but it also features a clause which would allow him to leave for just £25m this time next year. 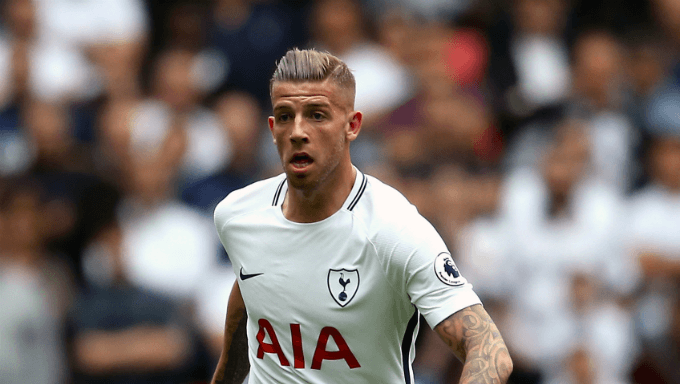 It therefore makes sense for Spurs to at least consider cashing in now, but rival clubs will be fully aware that they can sign Alderweireld for a fraction of the asking price they are likely to be confronted with if they try to buy him in this window. Xherdan Shaqiri is on his way from Stoke to Liverpool and there have been rumours that Butland could follow, with Jurgen Klopp reportedly keeping his options open when it comes to selecting a first-choice goalkeeper for the coming campaign. Another club worth watching is Wolves, particularly after it emerged that Sporting CP are contesting Rui Patricio’s move from Lisbon to the West Midlands. There is a chance that FIFA could intervene and deem the transfer illegal, in which case Nuno will be on the lookout for another shot-stopper. Maguire has enjoyed an excellent World Cup, further enhancing a reputation which had already grown substantially following his move to Leicester last summer. The Foxes would be loath to lose the defender, but a large bid from one of his suitors could prove too good to turn down. Manchester United are on the lookout for a new centre-back and are supposedly weighing up a bid for Maguire, who is already ahead of Phil Jones and Chris Smalling in the pecking order at international level. Jose Mourinho could do far worse than signing the 25-year-old, who still has his peak years ahead of him. Cristiano Ronaldo’s departure to Juventus was the subject of massive discussion in different transfer news sources and leaves Real Madrid with a massive hole to fill at the top of the pitch. Gareth Bale and Karim Benzema continue to be linked with transfers away from the Spanish capital, so we could see los Blancos make more than one marquee signing in the coming weeks. Kylian Mbappe and Neymar are likely to be at the top of their wish list, but Paris Saint-Germain will dig their heels in if a bid is made for either of their prized assets. Chelsea would find an offer of over £100m harder to turn down, and Hazard would jump at the chance to join the European champions. Jorginho looked to be headed to Manchester City for much of this summer, but Chelsea have won the race for the midfielder’s signature. Pep Guardiola, who also missed out on Fred, will now turn his attention elsewhere, and Kovacic could leap to the front of the queue to do a deal with the Sky Blues. The Croatia international has struggled for regular game time at Real Madrid in recent years, particularly in the biggest matches. He will want to play more regularly now that he’s approaching his mid-20s, and the chance to play under Guardiola would surely be too good to resist (for any player for that matter). When Lazio lost to Inter on the final day of last season and consequently missed out on the Champions League, it seemed certain that they would soon be waving goodbye to star man Milinkovic-Savic. Manchester United appear to have cooled their interest in the Serbian playmaker, and few other clubs seem interested in prising him away from Lazio this summer. Another campaign at the Stadio Olimpico is the most likely outcome. It is fair to say that Morata did not enjoy the greatest debut season at Stamford Bridge last time out, and his future has been clouded further by the arrival of Maurizio Sarri. The Italian manager used Dries Mertens – a 5ft 7in former winger – up front during his time in charge of Napoli and it remains to be seen whether Morata is the type of centre-forward he wants to build his team around. With that in mind, it could be worth it for football betting fans to back the Spaniard to depart Chelsea.